The set, which includes three vibrant offerings, includes camo patterning across all its uppers. 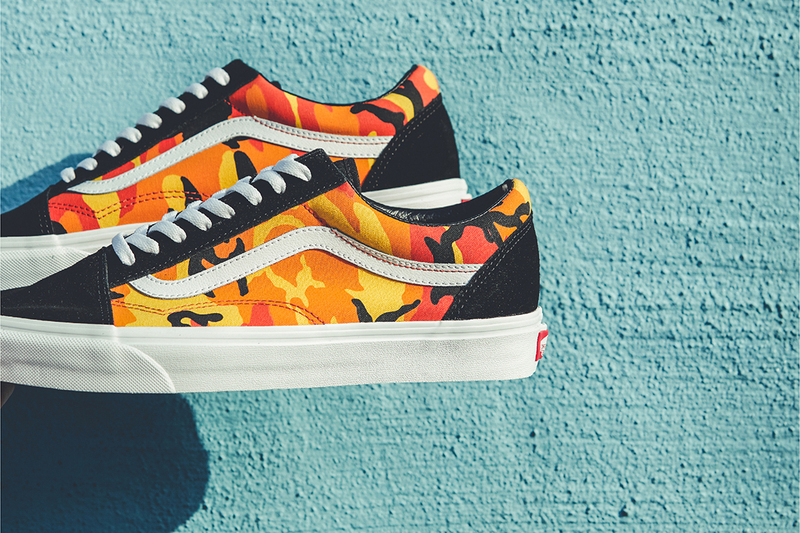 The yellow camo is found on the Old Skool, while a lighter blue camo is splashed all over the low-top Authentic pair. The Sk8-Hi receives the most subdued of the bunch in the scheme of purple and black. Each pair is set on top of a clean white midsole, while white laces finish off the job. Lastly, a classic red badge is found on the rear, as the only color offering outside of the camo patterning. The “Pop Camo Pack” is exclusively being sold at the BILLY’S ENT shop in Hiroshima on August 11. Pricing for the Authentics is ¥6,000 JPY (approx. $55 USD), while the Old Skool and Sk8-Hi cost ¥7,500 and ¥8,000 JPY (approx. $68 – $72 USD) respectively. Back in July, BILLY’s ENT also worked with Converse for an equally-camo’ed out pair of Converse Chuck Taylor Lows.